And our roster of amazing artists! RSVP here & receive a raffle ticket for an amazing prize!! 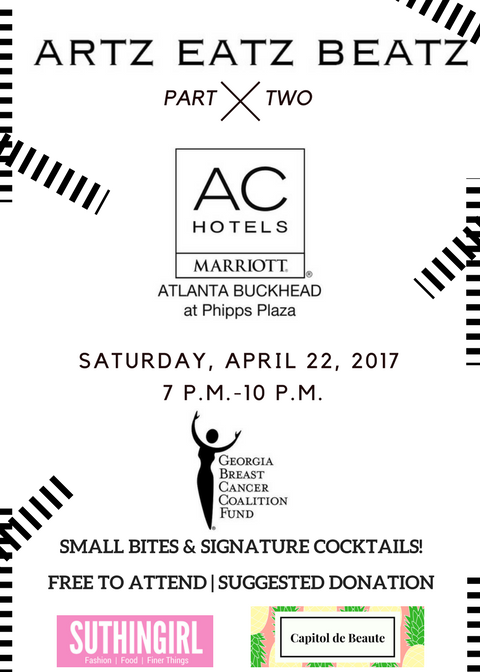 Many thanks to the AC Hotel Atlanta Buckhead at Phipps Plaza! Also, the AC Hotel has special rates for the evening!